Microsoft is not working on Windows 10 Mobile anymore and the devices that run it would become obsolete in December 2019 when the company pulls support for the OS. Windows Phones would become pretty much useless in by 2020 when the platform will be discontinued and many core apps will cease functioning. However, the developer community isn’t ready to give up on Windows Phones yet and recently they managed to port Windows 10 for ARM to Lumia 950/950XL handsets. The project is advancing at a really good pace. Thanks to the work by the independent developers, it looks like we’re close to getting mobile connectivity on a Lumia 950 XL running Windows 10 ARM. Developer Gustave Monce, one of the contributors to this project, revealed in a series of tweets that it is possible to have cellular connectivity on such a device. 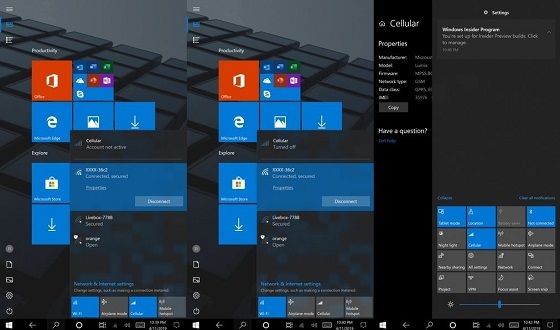 The developer stated that they have managed to run Mobile Broadband Driver running and the Windows 10 ARM-powered Lumia 950 XL is able to read the SIM slot, even turn on the Modem, turn on or off the radios, but the internet connectivity or call is not working yet. “Without a sim inserted in the device, it will report insert SIM as you would expect. Having a PIN on the sim card doesn’t seem to fix the account activation issue, however, and it doesn’t seem to find networks,” Gustave explains. 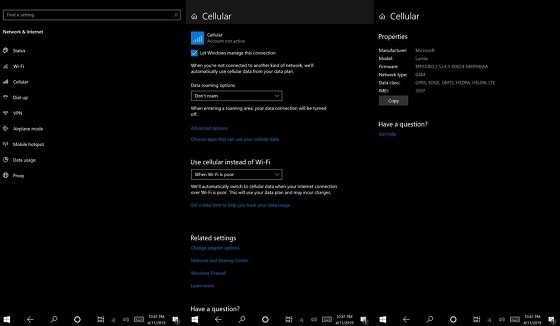 In near future, it could be possible to install Windows 10 ARM on Lumia 950 XL with calling and cellular capabilities, all thanks to a project by independent developers that would make it possible.